So our business here is done — principle photography, anyway. 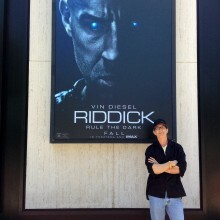 It was a challenging schedule we had for this latest installment of RIDDICK – a scant 47 days – but we managed to get what we needed (and more), thanks to a skilled crew and a gifted and willing cast. I’m packing up now to return to L.A. after five months here, but the memories of Montreal are already piling up in my head in a way that I know will haunt me, happily, for years to come. 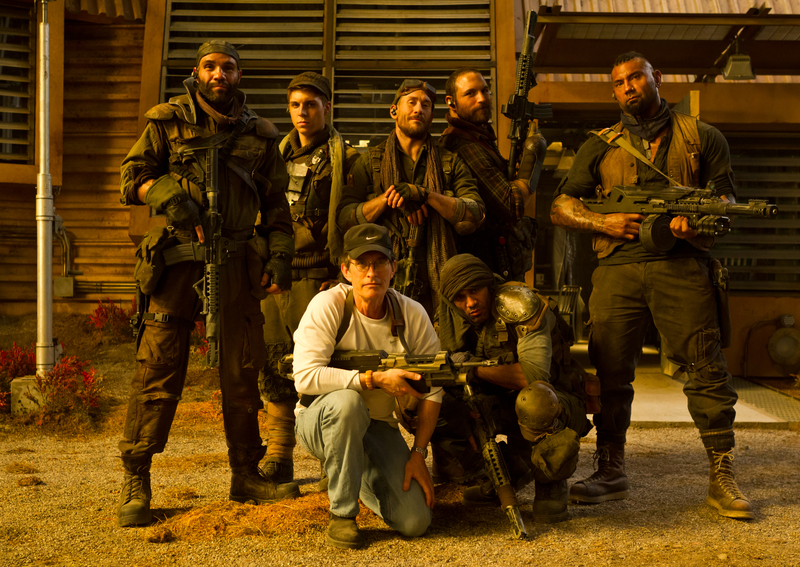 Above is a photo of me and some of Santana’s crew between takes on the set of RIDDICK. 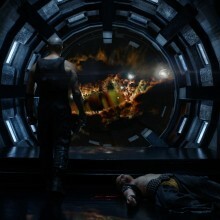 awesome pic.. cant wait for the release.. props to all that worked so hard on this film.. its gonna be epic. I can’t believe you can shoot a movie in so few days. It has been really interesting following Vins Facebook through the making of yet another chapter of the amazing Riddick story. Keep up feeding us little tidbits please. Can’t wait to see it in the theater! Cool picture, thanks for the update!